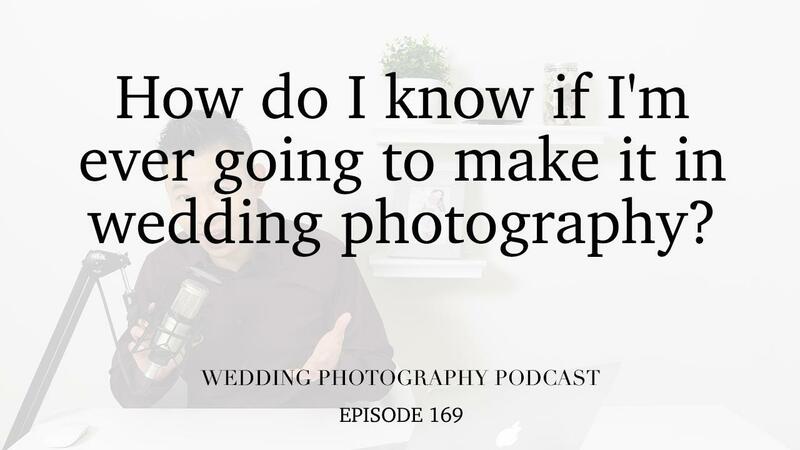 How do I know if I'm ever going to make it in wedding photography? As the New Year celebrations die down and people are back at work, it’s time to look ourselves in the mirror and ask some tough questions. When you’re just getting started in wedding photography, there’s always a high level of excitement as you get things off the ground. But fast-forward six months and many of us hit a brick wall, with no traction and no portfolio to show for our efforts. So perhaps you head to YouTube or a conference to get inspired, or maybe you invest some money, hoping it will lead to a few bookings or even just the opportunity to second shoot. In this episode, I want to tell you that you’re not alone and I completely understand that feeling. I’ve been there and there are even moments now when I feel I’m not getting results for the hard working I’m putting in. But rather than stumbling along in the dark, I want us to look ourselves in the mirror and figure out what our game plan is. If you’re not sure, head on over to weddingphotographycoaching.com and take action by booking a free strategy session with me.